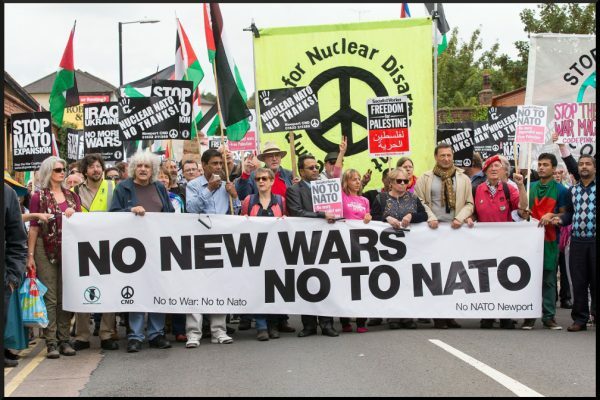 Nine Reasons Israel is Not a ‘Progressive Paradise’ – Stop the Wars at Home and Abroad! From March 4th to March 6th, the American Israel Public Affairs Committee (AIPAC) policy conference convened in Washington DC. This gathering is the largest of the year for AIPAC, the main arm of the American pro-Israel lobby. Yet in the past few years, AIPAC has lost support within the Democratic party. Due to the influence of centrist groups such as JStreet, a thriving divestment movement on college campuses, and Donald Trump’s unabashed praise for the Israeli government, AIPAC continues to lose influence among Democrats. A 2018 Pew poll found that liberal Democrats sympathize more with Palestinians by a nearly two to one margin. The same poll found that Democrats overall are about as likely to sympathize with Palestinians than with Israelis. This polling is vastly different from polls done on Democratic support for Israel in the past. In 2009, 42% of Democrats sympathized more with Israel more compared to just 27% of Democrats today. This had led Mondoweiss’s own Philip Weiss to refer to Israel as a “tanking stock” among Democrats. The situation in Gaza represents a humanitarian crisis. The Israeli army has imposed a land, sea, and air blockade that has prevented 1.6 million Palestinians from entering. Under the blockade, there have been restrictions and prohibitions from basic supplies from getting in such as pasta, cookies, powdered milk, soap, shampoo, textbooks, and writing paper. Due to the blockade, basic necessities for living such as food and water remain difficult for Palestinians. As a result, 95% of Gazans are forced to drink contaminated water and 54% of the population does not know where their next meal is coming from. In an attempt to “dry up” funds to Hamas, the Israeli government has also cut electricity to Gaza. This means that the average Gazan gets four hours of electricity a day, posing a particular risk for individuals such as dialysis patients. 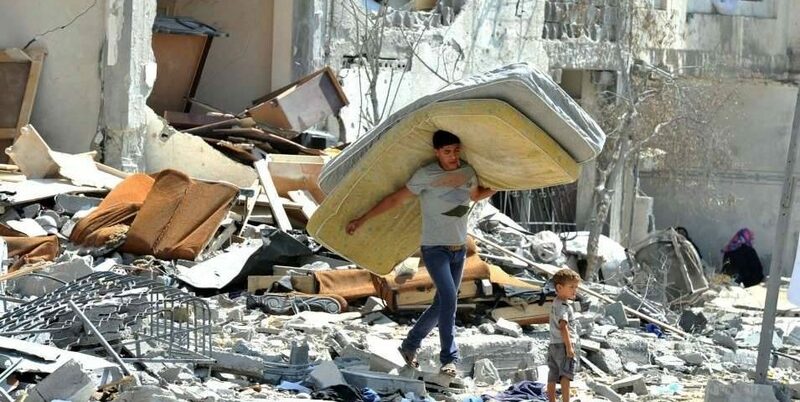 Following the Israeli government’s 2014 bombing of Gaza, the infrastructure of Gaza has also been utterly destroyed. At the rate that current supplies are coming in, it is estimated that it will take 100 years to rebuild Gaza. 13.2% of children in Gaza suffer from stunted growth due to malnutrition. The psychological toll on the children of Gaza has been just as bad as the physical toll. 70% of Gazan children suffer from nightmares and 75% suffer from bedwetting, due to the torturous living conditions they endure. Israel is a state founded European Jews who colonized the land and, in 1948, conducted a genocide and mass expulsion of the indigenous Palestinian population living there. Senator Bernie Sanders has compared this act of settler-colonialism to the settler-colonialism of Europeans who came to the Americas. The creation of the state of Israel resulted in the creation of the largest refugee population in the world. While Israeli’s refer to the creation of Israel as “Israeli Independence Day”(although it is not clear who they got their independence from), Palestinians refer to this day as the “nakba” or the catastrophe. It is estimated that about 40% of the world’s refugees are Palestinians who were expelled from their homes by the creation of the state of Israel. The United Nations regularly reiterates the right of Palestinians and their descendants to return to homes that they were expelled from, specifically through declarations such as United Nations Resolution 192 and the International Declaration of Human Rights. Still Israel continues to deny these refugees the right to return to their homes. In the state of Israel, a person’s ethnic identity determines the rights that they receive. Subjecting different sets of people to different sets of laws literally constitutes the definition of apartheid. While Palestinians living under Israeli control in the West Bank are subject to military law, Israeli settlers living in the West Bank are full and equal citizens of Israel subject to civil law. They can vote in elections while Palestinians living there are not even considered citizens. Non-Jewish citizens of Israel are subject to discriminatory laws that make them second-class citizens. 40% of the Palestinian male population has been incarcerated in Israeli military courts. These military courts have a 99.74% conviction rate for Palestinians. One of the Palestinians incarcerated in these courts was Issa Amro, a man who many refer to as the “Palestinian Gandhi.” Amro engages in nonviolent action against Israel’s building of settlements in the Occupied West Bank that are illegal under international law. Amro faced jail time for 18 charges, ranging from “insulting a soldier” to “assault.” Amnesty International reported that “the deluge of charges against Issa Amro do not stand up to any scrutiny,” calling the charges “baseless and politically motivated.” Issa Amro is just one of hundreds of thousands of Palestinian men who are thrown in Israeli jails on baseless charges. Palestinian women similarly are no exception to this system of incarceration. On December 18th, 2017, in the middle of the night the Israeli army burst into the Tamimi family home and arrested 16-year-old girl, Ahed Tamimi. They beat her father, mother, older and younger brothers and confiscated the families laptops, phones and cameras. Tamimi was charged with “slapping a soldier” and remains jailed to this day. Israel has been a state that has sought public support by painting itself as some sort of civilizational battle between “Islam and the West.” This is similar to the Islamophobia pushed by right-wing ideologues around the world including Donald Trump who famously stated that “Islam hates us” and pushed for a Muslim ban. Israel’s schools are both religiously and racially segregated. Jewish students attend a school based on their religious denomination while the Palestinians attend their own schools. Less than 1% of children attend the handful of integrated schools which Jewish Israelis and Palestinians with second-class citizenship are allowed to attend. Palestinian schools also receive less government funding per capita than Jewish schools, resulting in fewer students attending college than in Jewish schools. Many African refugees from countries such as Eritrea and Sudan have fleed to Israel after having faced war in their own countries. Expecting the liberal democracy that AIPAC surrogates speak about, the refugees instead faced massive resistance from Israelis who referred to them as “infiltrators.” Israel has asked the African refugees to choose between detention in an Israeli jail or deportation to a third African country. Current Israeli Prime Minister, Benjamin Netanyahu, previously warned that if the non-Jewish population in Israel reached as high as 30%, it could pose a risk to the “Jewish character” of the state of Israel. Although the Ethiopian Jewish population lives under civil law, thus enjoying the benefits of citizenship, they still suffer much discrimination in Israel despite the fact that they are Jewish. There have been reports of police brutality in Israel against Ethiopian Jews, in addition to discrimination in jobs and public service. In 2013, the Israeli Red Cross was found to be throwing away the blood of Ethiopian Jews who donated it. When Pnina Tamano-Shata offered to donate blood as part of a campaign by the Israeli Red Cross, the Israeli Red Cross rejected her blood donation on the grounds that she was Ethiopian. That same year, the Israeli government admitted to injecting Ethiopian Jewish women with a birth control drug called Depo-Provera. Forced sterilization fits the United Nations genocide definition of “imposing measures intended to prevent births within the group.” As a result of these forced sterilizations, the birth rate for Ethiopian Jews fell 50% between 2003 and 2013. Israel has been an exporter of arms to many repressive regimes around the world. Beyond just selling apartheid South Africa a nuclear weapon, Israel was the biggest arms supplier of apartheid South Africa. Israel has also provided arms to the Burmese government as they engage in a genocide of the Rohingya population. Israel also provided the Rwandan government with weapons as they engaged in a genocide of the Tutsi tribe, which is considered the fastest past of genocide in human history. Israel also provided the Serbian government with arms as they engaged in an ethnic cleansing of Bosnians. Far from a “progressive paradise”, Israel is actually an ethnoreligious state that violates the human rights of Palestinians, other ethnic and religious minorities within its borders, while also aiding Islamophobia and genocide on a global scale. It is for this reason that a significant and growing portion of the Democratic Party is clamoring for justice in Palestine. For as long as Israel continues to oppress, support for Israel will continue to be a tanking stock within the Democratic Party. No former Democratic governor can change that through fallacious assertions. Previously published on Mondoweiss and Common Dreams. Previous Post:The Russians are Coming?